Flute 1 Part. Note: 2 measures of quarter-notes have been prepended to the play-along to facilitate synchronization. Flute 2 Part. Note: 2 measures of quarter-notes have been prepended to the play-along to facilitate synchronization. 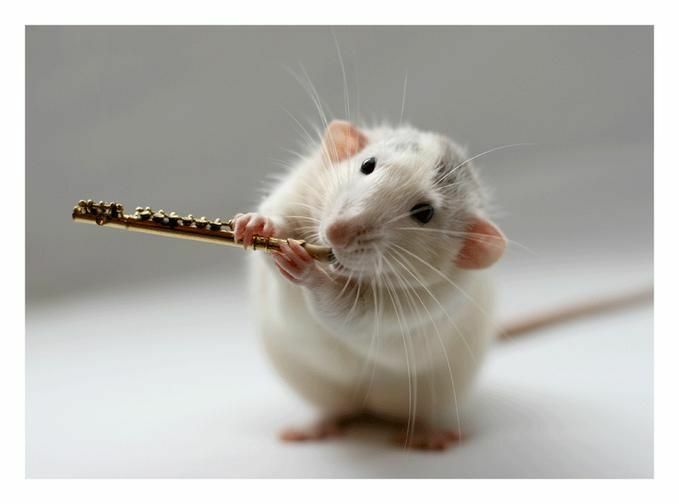 Flute 3 Part. Note: 2 measures of quarter-notes have been prepended to the play-along to facilitate synchronization. These five pieces surfaced after Beethoven's death, bringing with them several very puzzling mysteries. Most challenging of them all was the instrument for which they were written. Piano, strings, harp and most other common instruments were instantly ruled out, building on the perplexing mystery and adding to the frustration. 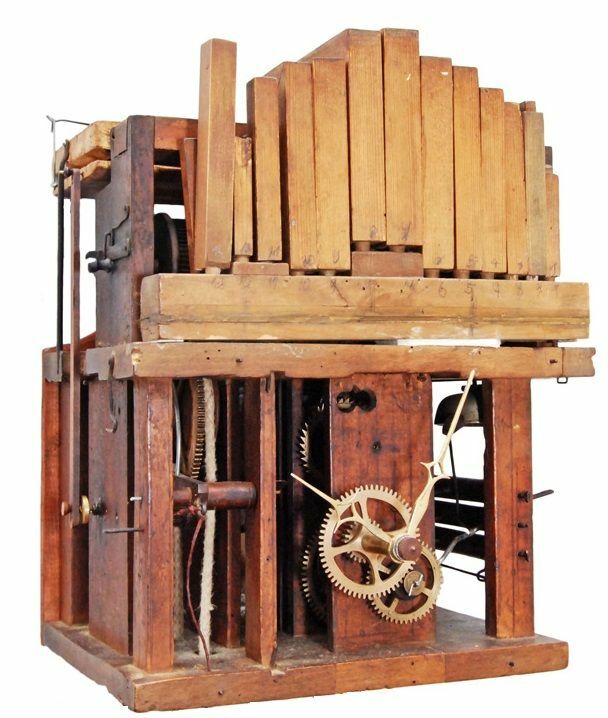 Eventually, Albert Kopfermann set forth a convincing argument that their strange scoring seemed a perfect fit for the Flötenuhr or Spielühr, a mechanical organ or clock. He observed that the notation in No. 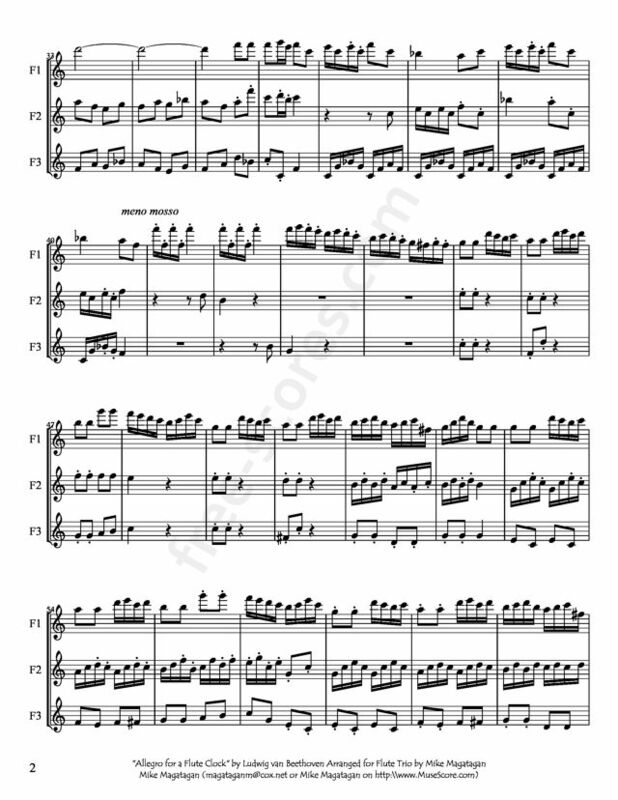 1, in F, matched that in Mozart's K. 608 Fantasia (for Flötenuhr), the score of which Beethoven possessed. Other circumstantial factors pointed to the Flötenuhr as the instrument Beethoven designed these pieces for. A second mystery regarding these five works is the time of their composition. It appears that Nos. 4 and 5, both in C, were written as early as 1794 or perhaps slightly later. The others were likely written in 1799-1800. No. 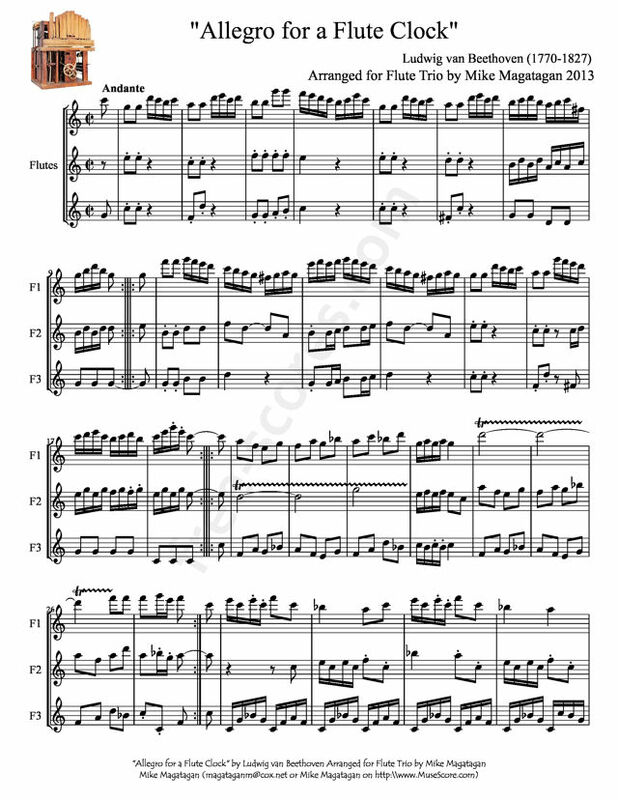 1, marked Adagio, features a very attractive theme, which Beethoven deftly develops. He obviously took this music very seriously, despite the unorthodox instrumentation. The Scherzo (No. 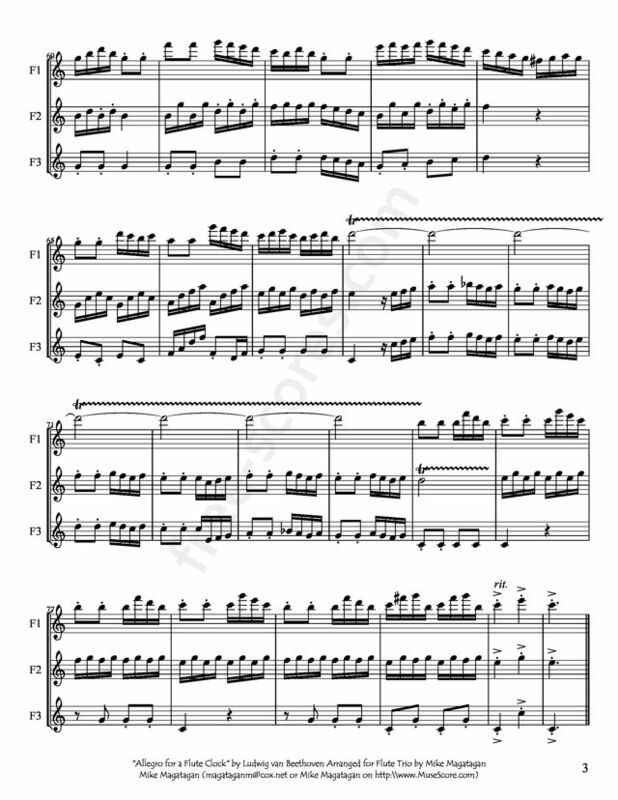 2), in G, is also well crafted, as is the delightful Minuet (No. 5). None of these five pieces was published until the twentieth century, and, not surprisingly, all are rarely heard. This arrangement is the Allegro from No. 3 in G Major and although originally written for Mechanical Organ (or Flute Clock), I created this arrangement for Flute Trio. Very pleasant score, and nice music ! 3 scores found for ""Allegro for a Flute Clock" for Flute Trio"